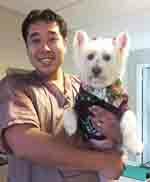 PetGroomer.com Magazine (formerly eGroomer Journal) provides you with articles by some of the grooming industry’s most informed authors. Below you can learn more about the authors we feature and where to find their articles in the current and past issues. Articles marked as “online here” can be read individually here at this site without downloading the issue they were originally published in. Jeff Andrews is “One of America’s Favorite Sharpeners.” Along with his years of grooming experience in two of his own shops, he is a “World Class Sharpener” that can sharpen all grooming equipment to better than new condition. 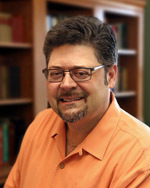 Jeff is an author and pioneer of many maintenance and grooming video’s and articles. They are for groomers who want to make their equipment last longer and save money on their sharpening costs. These videos and articles are on his website free to download and keep for reference. Along with his mobile route along the Gulf coast, and the extensive mail-in business from all over the world, Jeff lectures at private grooming schools, corporate grooming schools, and veterinary colleges all over the south. He definitely lives up to his motto “You NOW have a better choice.” Jeff is also a member of the National Dog Groomers Association of America, and is still a part-time groomer in Mobile, Alabama. A Quick Guide to Shear Care, July – September 2014 issue and online here. Cooling Blades with Ceramic Tiles, October – December 2011 issue, and online here. Do’s and Don’t’s of Cordless Battery Charging, April – June 2013 issue, and online here. Don’t Forget! Grease the Cutter Notch, January – March 2015 issue, and online here. How to Fix Sharp Blade Teeth, January – March 2013, and online here. Mobile Sharpener Calibration, April – June 2014 issue, and online here. Preventing Cord Problems on Clippers with Voltage Converters, October – December 2014, and online here. To Sharpen or Not to Sharpen Blades, January – March 2012 issue, and online here. Blade Plaque: What is it?, April – June 2015 issue, and online here. How to Properly Oil a Clipper Blade, July – September 2015 and online here. Barbara Bird, aka BBird, has been grooming since 1971 and opened Transformation Pet Center in Tucson, Arizona in 1977. In the salon, BBird specializes in Bichons and scissored trims, hand stripping of Terriers, and cat grooming. She has been writing and speaking to groomers for over a decade, and received the Cardinal Crystal Achievement Award as Grooming Journalist of the Year for 2006 and 2007. A regular contributor to Pet Age magazine, Barbara also writes for The Bichon Frise Reporter. She has authored and self-published three books, including Beyond Suds and Scent – Understanding Pet Shampoos and Conditioners. She has also developed a line of aromatherapy products, The Scented Groomer. She teaches webinars online. A Study of the pH of Pet & Human Shampoos, July – September 2011 issue, and online here. Styling Aids for Grooming the Canine Coat, October – December 2011 issue, and online here. To Clip or Not to Clip, April – June 2012 issue, and online here. Silicones: A Quest for Truth Part One, January – March 2013 issue, and online here. Silicones: A Quest for Truth Part Two, July – September 2013 issue, and online here. What We Know and Don’t Know About Canine Hair Growth, April – June 2012 issue, and online here. No Ear Plucking!, July – September 2013 issue, and online here. Dave has been with Best Shot Pet Products for over ten years and is director of sales & marketing. He has a total twenty five years’ experience in the pet services industry including co-owning and operating a successful full-service grooming salon, pet boutique and self-wash with his wife Tracy. Dave‘s professional experience spans three decades specializing in consumer goods, new product development, direct response marketing and advertising. Blow Away Your Troubles, January – March 2015 issue, and online here. Making Masterpieces Out of Nightmares in Record Time – Part One, January – March 2014, and online here. Making Masterpieces Out of Nightmares in Record Time – Part Two, April – June 2014, and online here. Justine Cosley graduated from the Median School of Allied Health Careers in 1991 with a certificate in Veterinary Assistance. She then graduated from the Pampered Pet School of Grooming in 1996. After working in local grooming shops for 5 years she opened her salon, “Justine’s Doggy Styles” in 2001. She began competing in creative grooming in 2005. Over the past 10 years, she has competed in 12 creative grooming competitions, receiving placements in 8 of those 12. Alongside her standard poodle Silas as the “Steeler Poodle”, she graced the cover of Groomer to Groomer magazine in March of 2006. Silas and Justine were also featured on the cover of the Atlanta Journal Constitution in 2007. In the summer of 2009, Justine switched gears and re-opened her grooming business as a feline exclusive grooming shop, “Cat Around Town.” She is a Certified Feline Master Groomer with the NCGIA as well as a Nationally Certified Master Groomer with NDGAA. Justine was the first Master Certified Professional Creative Groomer with the NAPCG as and is a Certifier for the NAPCG. In addition to competing with live animals, Justine has entered 3 model dog competitions, winning 3 placements, including 2 first places. Justine has judged lived creative and model dog competitions internationally. Justine is an international speaker and enjoys doing Webinars for the NAPCG. Justine is now retired from creative competitions and is enjoying life on the other side of the table, being an IJA judge. Monarch Butterly Metamorphosis (Creative Grooming Story), October – December 2013, and online here. Daryl Conner is a certified Petcare Dermatech Specialist, Master Pet Stylist, Meritus and Certified Master Cat Groomer. A contributing editor to Pet Age Magazine, Daryl’s musings have also been found in Dog World, Groomer to Groomer, and on many Internet sites. She is the recipient of the coveted 2005 Cardinal Crystal Award for Journalism and the ’06 and ’07 awards for Congeniality, Daryl is proud to be the U.S. Ambassador for the German Red Clipper. 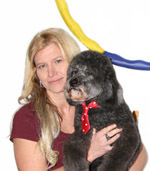 Known for her fun and informative educational classes at grooming shows across the country, Daryl’s grounded, friendly style makes her an approachable and popular teacher. With over 25 years grooming experience, Daryl’s abiding love of animals and passion for our trade radiates out to everyone she touches through her work. Grooming Goddesses, October – December 2011 issue, and online here. Giving Back, January – March 2012 issue, and online here. Ellen Ehrlich has been a mobile groomer since 2006 and is the author of The Successful Pet Groomer, Go Mobile And Succeed, 49 Essays On Pet Grooming, and the creator of Go Mobile and Succeed – The Seminar DVD. She has appeared on Animal Planet, wrote a popular blog on Petgroomer.com and Groomers.net, published articles in Groomer To Groomer magazine, been interviewed three times on GroomerTalk Radio, and is a Certified Feline Master Groomer. Ellen is a freelance writer, the winner of the essay contest Driven To Groom, an industry speaker, and has been nominated for nine awards in the grooming industry since 2009, including Mobile Groomer of the Year (2011, 2012, 2013 and 2014,) Up And Coming Speaker, Journalist Of The Year, Writer Of The Year, and Blog of the Year. Her latest book, The Successful Pet Groomer, was nominated for a Barkleigh Honors Award for Book Of The Year 2014. She also created the first Facebook page devoted to mobile grooming Go Mobile And Groom and spent two years presenting online webinars with Pawsitive Instructional Training. She was a consultant for Hanvey Engineering. Ellen is also on the Board of Directors for the Groomers Emergency Fund and is a graduate of Emerson College. She is an accomplished seamstress and painter. Married for 35 years to her best friend Doug, Ellen is the proud mother of three adult children, one poodle and has been horse crazy since was ten years old. Her goals for the future include making the world a better place for pet stylists as she inspires, motivates, and empowers groomers everywhere she goes. Ellen’s endless amount of passion and enthusiasm motivates her to explore and take advantage of new opportunities in the grooming industry. 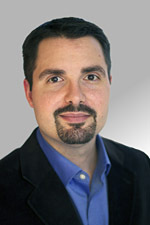 Matt Faulhaber is Pet Care Product Manager at SmartPractice, a family-owned company passionate about its mission for Healthier Practices, Healthier Pets. Proudly serving grooming professionals for more than 40 years, SmartPractice supports the pet care industry, groomers and boarders with client communications, clinical supplies, practice marketing, innovative products, scrubs and uniforms, filing supplies, and exam gloves. Cat Grooming Basics / Interview, July – September 2011 issue, and online here. Mushroom Cats, October – December 2012 issue, and online here. Crispy Legs, October – December 2013 issue, and online here. Cat = Dog?, July – September 2014 issue, and online here. 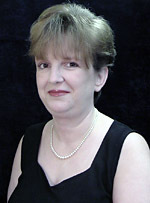 Mitzi Hicks, NCMG, is president of Golden Paws. She and her sister, Rianne Morgan, have owned and operated salons, mobile units and pet styling schools. They are currently licensing the proven Golden Paws training programs with more than forty years of success to select salon owners who wish to teach future groomers. There are currently 8 Golden Paws Pet Styling Academies with 3 more coming soon. You can learn more about attending a Golden Paws school or request information about opening a Golden Paws school by contacting Mitzi and at her website. They also publish the Golden Paws instructional book and the Golden Paws DVD’s. The Do’s of Pet Styling Education, January – March 2015 issue, and online here. Keys to a Successful Salon, October – December 2014 issue, and online here. Debi Hilley has written articles for the GroomTeam USA newsletter, NEPGP newsletter, the Groomer’s Gazette and publishes her own website, Grooming Smarter. Some of the topics she covers include wet clipping, dematting, using snap-on combs and grooming the Cocker Spaniel. Debi has written a book on CD for dematting and another for Teddy Bear head styling. Currently she is writing another book for every day pet grooming styles for use in the salon. Heatstroke Awareness Day 2015, July – September 2015 issue, and online here. Jacqueline Hynes bought her first dog at the age of 9, delivering newspapers to support the care and learning that pet ownership was to be taken as a serious responsibility. It was this same commitment that lead to her determination to solve her own orthopedically challenged retrievers’ chronic skin issues. Jacqueline passionate quest lead to years of study and research; starting at grooming school, becoming a licensed human Aesthetician, a National Certified Licensed Massage Therapist, studying canine massage therapy, small animal dermatology, canine nutrition and canine natural remedies. Jacqueline turned the chore of groom time into a comforting, bonding spa time. Utilizing the proven benefits of mud therapy for detoxing and healing along with essential oils, her dogs went from bald, yeasty smelly skin folds and hot spots to healthy, cuddly coats. She continued having success with mud therapy enlarging her scope to family, friends, neighbors, and shelter dogs. She recognized that nurturing, detoxing, de-stressing spa treatments are available for humans, yet absent in the canine world. (Jacqueline is a licensed swimming pool builder and propane gas contractor.) Her determination to bring these effective skin wellness and other spa products to the canine world, lead her to leave 25 prosperous and gratifying years in her family’s industry of swimming pools. With a strong desire to share her knowledge and effective results, she worked with natural and organic chemists to form Madra Mór Canine Spa Treatments. Beyond the Coat, July – September 2015 issue, and online here. Jodi has been a four time member of Groom Team USA and ranked within the top four competitors in the country for the past four years. I am a multiple Best In Show and Best All Around competitor. An International medalist winning a gold and bronze medal in Barcelona, Spain in 2004 and a gold medal in Milan, Italy in 2007 competing among 13 countries of world renown groomers. In 2005 and 2006 I was awarded Best American Groomer. I captured the title of World Grand Champion in the Oster Invitational Tournament of Champions. This tournament was by invitation only. Forty-two competitors from around the world were invited, and I was thrilled to take the Championship title. I am also a speaker and contest judge traveling nationally and internationally educating groomers here and abroad. I love to educate groomers throughout the world. I hold private workshops and training sessions to local groomers who want to perfect their skills. Today I publish a growing list of DVD’s to share my knowledge and experience with you, as well as Mobile Pet Grooming and a line of distinctive pet grooming apparel. The American Cocker Spaniel Head, January – March 2012 issue, and online here. The Traditional Teddy Bear Head, January – March 2012 issue, and online here. Heads and Tails Styling – Part 1, October – December 2011 issue, and online here. Heads and Tails Styling – Part 2, January – March 2012 issue, and online here. Tail Styles: Flag, Westie, Rat & Poode, April – June 2012 issue, and online here. An Eye for Detail, April – June 2013 issue, and online here. Double- Coated Breeds, July – September 2014 issue, and online here. Mackensie Murphy is a second generation Pet Stylist following in her mothers footsteps and becoming the very first second generation Groomteam USA competitor. Mackensie grew up traveling to competitions and trade shows and had always dreamed of one day being a top competitor. In 2005, Mackensie started her own grooming career at the young age of 18. Over the years she has worked for and studied under some of the industry’s top professionals. Mackensie began her competition career in early 2011 and quickly shot to the top of her game moving up to Division A by the end of that same year. She has been awarded multiple Best In Show awards, Best All Around Groomer awards and is a five time winner of the prestigious Liz Paul Memorial Best Scissored Poodle Award. She has made the great accomplishment of gracing the cover of multiple issues of “Groomer To Groomer” magazine, the grooming industry’s top publication. Going forward, Mackensie consistently stayed among the top ten competitors and earned herself a position on Groomteam USA in 2012 and 2013. Currently, Mackensie divides her time grooming top show dogs, the pets of Manhattan’s elite and being a “super mom” to her toddler, Oliver. In 2014, Mackensie continued her winning streak and finished the year ranking #2 on Groomteam USA. In October 2015 she will be part of the team in Italy with her American Cocker Spaniel. Mix It Up: A Poodle in Disguise, January – March 2015 issue and online here. Vera Needham is a Medical Exercise Specialist, Pilates Pro Trainer and has been a professional Dog Groomer for over 30 years. Physiotherapy uses exercise to prevent injury. The same type of exercise can be used to prevent injury. Who better than a dog groomer to know the vulnerabilities of the trade? We seem to accept pain as a way of life. Often it doesn’t have to be. Vera’s mission is to educate fellow groomers on injury prevention through exercise. Groom Fit is the result of twenty years of extensive study. Has Grooming Become a Pain in the Neck, July – September 2015 issue, and online here. Certified Master Groomer Dawn Omboy also known to the Pet Grooming industry as “The Queen of Color” is the author of Creative Canine Color & Design and Touch of Color instructional DVD’s for Creative Styling. A retired top creative styling champion, Dawn is an international Judge and Industry Speaker she is also a member of the International Judges Association. She has been seen several times on the cover of Groomer to Groomer and writes regularly for the magazine. Dawn is also a two time nominee for the Cardinal Crystal Achievement Award for Congeniality. She has appeared on the Today Show, in a German documentary and on Animal Planet judging a competition. Dawn’s passion for Creative Styling keeps her busy exploring new products and techniques which she freely shares with fellow groomers around the globe. The motto for the Queen of Color: making the world more colorful, one dog at a time. Sunshine State Gets Creative, April – June 2012 issue, and online here. My name is Mary Oquendo. CMPTI and I am the owner of Pawsitively Pretty Mobile Grooming Salon in Danbury, CT. I have been certified by PIJAC (Pet Industry Joint Advisory Council) as a Canine Specialist and am a Certified Pet Tech Pet First Aid, CPR and Care Instructor. Along with my associate; Beth Cristiano CCS, PTI, we have taught pet professionals pet first aid locally, at regional grooming schools and nationally at pet industry conventions. Why did I become an instructor in the first place? We all know that accidents can and do happen, especially when you work with animals. A couple of years ago, I nicked the tip of a tail and couldn’t remember what to do. I became flustered. It was at that moment that I didn’t want anyone else to feel that helplessness. I want you to be prepared and have the confidence and ability to handle any emergency situation. D.I.Y. Pet First Aid Kit, July – September 2011 issue, and online here. Ears, Pads & Eyes First Aid, January – March 2012 issue, and online here. Coping with Pet Loss Grief, October – December 2012 issue. Incorporating Reiki into a Grooming Practice, October – December 2014 issue, and online here. Sanitation for Grooming Operations, January – March 2014, and online here. Heatstroke Awareness Day 2015, July – September 2015, and online here. German Trim on a Standard Poodle, January – March 2013 issue, and online here. Achieving the Perfect Disguise on Curly-Coated Mixed Breeds, April – June 2013 issue, and online here. Insights for Winter Grooming, January – March 2015 issue, and online here. Insights on Harder to Groom Dog – April – June 2015 issue, and online here. So You’re Thinking About Adding a Second Mobile Unit, online here in MOBILE category. Emily Rupe began her career in corporate America. After several years, she decided to take the plunge into mobile grooming; driving her rig “Ms. Daisy” all over the greater Orlando area for almost 3 years. However, the when the opportunity arose to work at a dog spa with a former mentor, it simply could not be ignored. When Emily is not grooming, she’s pursuing her other passion; writing. A finalist in the Driven to Groom essay contest; she is also the author of Bathroom Trivia for the Mobile Pet Groomer. However, she is best known for her comical chronicling of her personal mishaps and misadventures while grooming in a featured series of articles titled “Driving Ms Daisy” in Groomer to Groomer magazine. 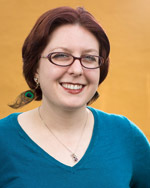 Emily was also a Barkliegh honors nominee in 2011 for Up and Coming Speaker and in 2012 for Blog of the year. Kathy Sanders is the founder of one of the East Coast’s largest residence dog grooming schools. She also hired a professional production company to produce Groomadog videos for her distance learning school Groomadog Academy, a state licensed correspondence course. Kathy is a National Certified Master Groomer and owns Thrudreamin’ Enterprises, Inc., a consultant firm for dog groomers. With 30 years experience, not only owning several professional dog grooming shops but also owning and operating three dog grooming schools. See www.groomadog.com for more information. Traing Your Clients, October – December 2013 issue, and online here. Jay and his wife Michelle own Here Comes the Groom, a highly successful mobile grooming salon in Germantown, TN. Their company is in such demand that his clients pay a membership fee to get an appointment with Jay. He has won multiple best in show and best all around groomer awards in competitions around the U.S. Jay was named American Groomer of the Year in 2001. He was also the first groomer to receive the Groomer of the Year Award at Westminster Dog Show in 2002. In the World Championships in Barcelona, Spain 2003 Jay won an International Gold and Bronze medal in two different poodle classes that helped Groom Team USA win the silver medal. In 2004 Jay was voted by the industry Grooming Judge of the year for his knowledge of breeds and the ability to judge them. Jay is the National spokesperson for Coat Handler shampoo. He is also a Wahl Clipper Corp. representative. Jay and Groomers Choice have teamed up to present the Jay Scruggs Signature Series line of grooming shears. Jay was the #1 ranked groomer in the United States in 2001 and part of the 2001 World Groom Team Championship team competing in Calgary, Canada. In the World Team Championship Jay won a gold medal in the Poodle class and then winning Best in Show with his Standard Poodle. 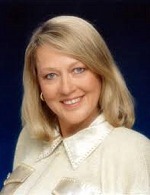 In 2004 and 2007 Jay was voted Judge of the Year. Jay and Sue Zecco publish Super Styling Sessions DVDs and popular seminars and workshops. Styling the Bichon Frise Puppy, October – December 2012 issue, and online here. Competition Grooming, October – December 2014 issue, and online here. Financing a Mobile Grooming Vehicle, July – September 2011 issue, and online here. I Paid Off My Van, Now What?, April – June 2013 issue, and online here. Diane Baron Taylor and her husband Robb live in Logan, Utah with their lab/mix Stinkers, and for more than twenty years, they have owned and operated The Doggy Boutique Pet Salon. At the age of twenty-two, Diane was raising and grooming American Cocker Spaniels. She was unaware at the time that professional dog groomers existed. Diane found the only groomer in town, and asked if she needed help at her shop, and lucky for Diane, she did. After working for three years, Diane opened her own shop. This allowed her to work from home and spend time with her children. Her first shop was in a small room in her mobile home. When they purchased a home, she made the entire basement a grooming salon, and now she employs six groomers. With her health improving, the whole family is working to expand the business, which will soon include a pet hotel and daycare facilities. Her favorite time of the year is January, when the Pet-Pro Cruise sails on another warm and fun adventure! Sinus Infection: Pseudomonas Aeruginosa, July – September 2011 issue, and online here. Verplank has almost 30 years experience in the pet industry. Her mastery of grooming techniques has won her numerous awards on a national & international level. She has run multiple businesses including a fleet of mobile units, a salon that grew into the Paragon School of Pet Grooming, a luxury, all suite boarding facility called Whiskers Resort & Pet Spa and White Dog Enterprises which created the award winning book, ‘Notes From the Grooming Table’. She was a member of GroomTeam USA, later the Team Coordinator and sat on the Board of Directors. Ms. Verplank is an industry speaker, author, two time Cardinal Crystal Achievement winner and contest grooming judge. Her most current project online is Learn2GroomDogs.com, streaming videos covering instructional grooming and business operations. Sue Zecco (pictured here with Jay Scruggs) is a Certified Master Groomer with the NDGAA and the IPGI. With over 35 years grooming experience, Sue has achieved quite a bit in her career. She is a multiple grooming contest winner with many Best in Show and Best All Around Groomer awards. Her favorite accomplishments include winning Intergroom’s International Groomer of the Year with B.I.S. judge the late Serafino Ripamonte, and the Oster Invitational’s Grand Champion. She has been a GroomTeam USA member since 1996, and was the first team member to earn over 100 points in one year’s time. Sue has been awarded 6 Cardinal Crystal Achievements Awards, which include American Groomer, Judge and Congeniality. After retiring from the competition ring, Sue teamed with Jay Scruggs to do one day seminars throughout the USA under the name, “Super Styling Sessions.” They also publish an extensive line of DVD’s under the same name. Sue and her husband Ray own and operate the Pampered Pet Grooming Shop in Paxton, MA. Styling the Bedlington Terrier, October – December 2013 issue, and online here.